A Memphis classic! 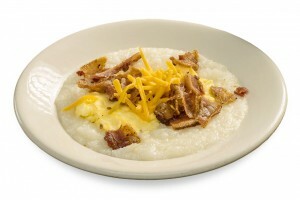 Our home cooked Breakfast Special: Comes with two eggs, any style, Homemade biscuits, Grits, Country gravy, Your choice of Sausage, Bacon, City Ham or Smoked sausage for $6.69. 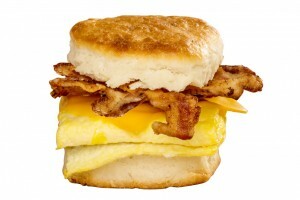 Order your Breakfast Special with Grilled Chicken or Country Fried Steak $7.59. 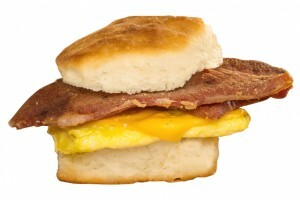 Order your Breakfast Special with Pork Tenderloin or Country Ham $8.49. This three egg omelet is filled with ham and american cheese. 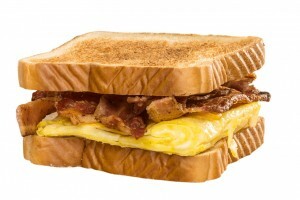 This three egg omelet is filled with bacon and american cheese. This three egg omelet is filled with sausage and american cheese. This three egg omelet is filled with philly steak, onions, tomatoes and american cheese. 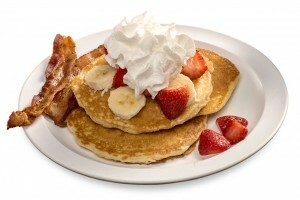 Three buttermilk pancakes and two eggs cooked to order with your choice of country sausage or hickory smoked bacon. White chocolate chips are cooked into three buttermilk pancakes, then we lather each cake with Nutella and top with strawberries. Three buttermilk pancakes loaded with Ghirardelli Chocolate chips. Sprinkled with powder sugar. Three pancakes made from scratch with fresh buttermilk. Three slices of our original French Toast and two eggs cooked to order with your choice of country sausage or hickory smoked bacon. Dipped and griddled to a golden brown, sprinkled with powder sugar and a dollop of berries. Slicing our homemade cinnamon roll into 3 layers, we dip and griddle this sweet French toast to a golden brown then sprinkled with powder sugar and a side of berries. A gooey, sweet Southern classic, rich custard pie.